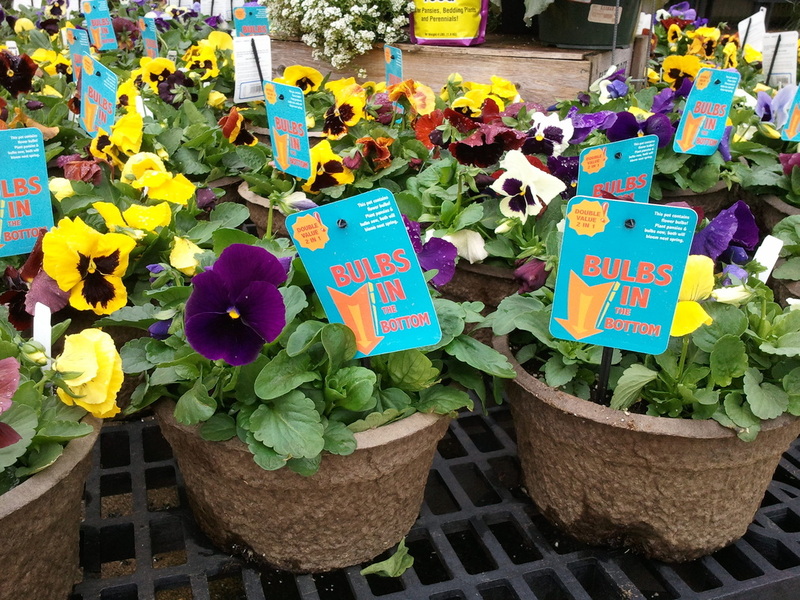 Imagine, beautiful pansies all winter and then an explosion of color from bulbs in the spring! "Bulbs In The Bottom" planters! Our Bulb in the Bottoms Pots are almost gone, but you can create your own wonderful Bulbs on the Bottom combinations. 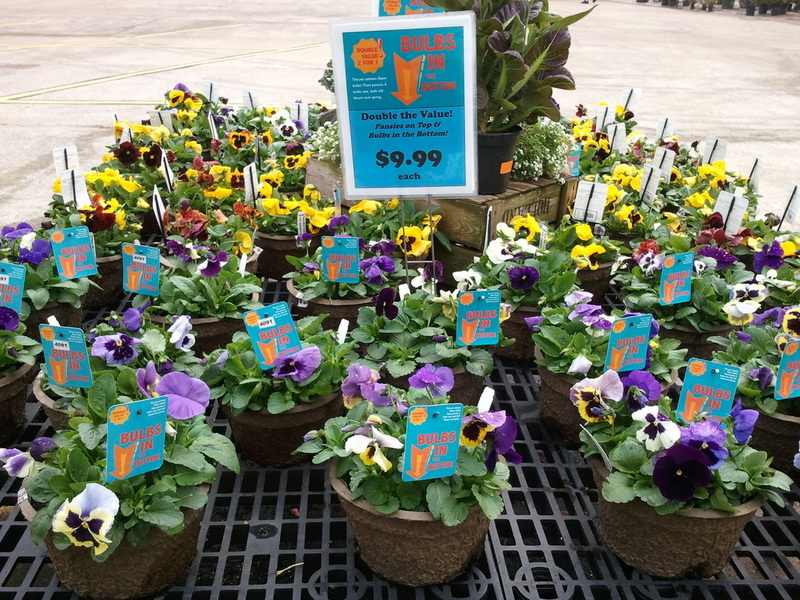 Choose your container, pansies, accent plants, and bulbs! If you take some premium Spring Bulbs and put them in the bottom of a plantable pot (self composting), then add beautiful pansies to the top you will have created the "Bulbs In The Bottom" planter. These are so easy! Just plant pot and all in your flowerbeds or favorite container and enjoy the show. Double the flower power in one easy to plant pot! 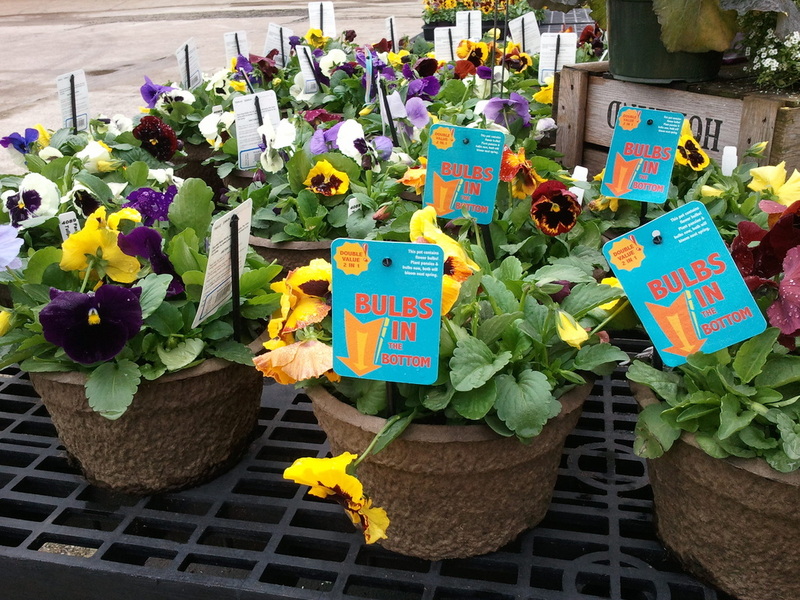 Keep in mind that you can create you own Bulbs In The Bottom planters with Holcomb's large flower bulbs and wonderful pansies! Get them ready to plant or create your own, you're sure to enjoy Bulbs In The Bottom!